Maybe Sandberg isn't ready to manage, but why won't the Cubs make him hitting coach? 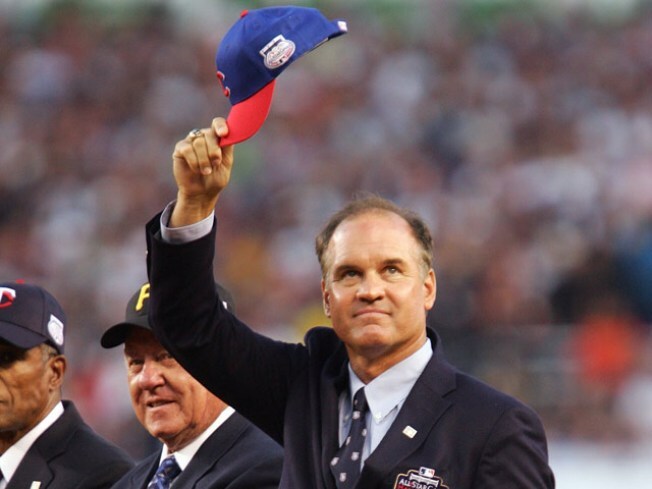 Ryne Sandberg tips his cap to Cubs fans. On Sunday, the Cubs fired hitting coach Von Joshua. Now they are looking for a new hitting coach. Ryne Sandberg is available. Um, hello? Anyone? The Cubs have already put the kibosh on this idea, saying Sandberg won't be considered for the open job. This despite Lou Piniella's insistence that Sandberg will be "in the mix" for the Cubs' managerial position after Piniella vacates the spot after the 2010 season. For his part, Sandberg has made it pretty obvious that he wants to be the Cubs' manager, and he's done the good soldier routine to get it. Sandberg really wanted the gig in 2006, and lobbied openly to get it; Hendry turned him down then but gave him a job at single-A Peoria as a proving ground for Sandberg's managerial abilities. (Single-A isn't exactly a cupcake for managers, either. It involves too many bus rides and too many Super 8's, not to mention the frustrating baseball on display.) Sandberg has since worked his way up to double-A ball, managing the Tennessee Smokies for the 2009 season. Is Sandberg ready to take over for Piniella? Maybe, maybe not. But managers tend to make less of an impact on their team than people give them credit for. There are only tenuous statistical links between managers and on-field performance; oftentimes, the best thing a manager can do is keep the environment light and stay out of his players' ways. And maybe the Cubs genuinely believe Sandberg can't handle that yet. Fine. But at the very least he should have some knowledge to share about hitting, and if the Cubs want to get a first-hand look at how Sandberg does major-league-level business on a daily basis, it's a perfect training gig. Who knows. Maybe the Cubs want Sandberg to spend more time in the minors. Maybe they don't want him to take over in 2011. Whatever. But in so far as the hitting coach and manager matter to their baseball teams, why not Ryno? If not now, when?